Socialbox.biz is partnering with corporations for laptop re-homing service and hosting donation collection boxes onsite for increased donation rates from their colleague’s no longer needing the devices. Outdated laptops, tablets, game consoles and accompanying accessories are placed in the donation box and redistributed via SocialBox.Biz and its charity partners. Any corporation that participates in the social impact initiative will receive increased CSR ratings with local communities, as well as positive press and marketing exposure to prospective investors. 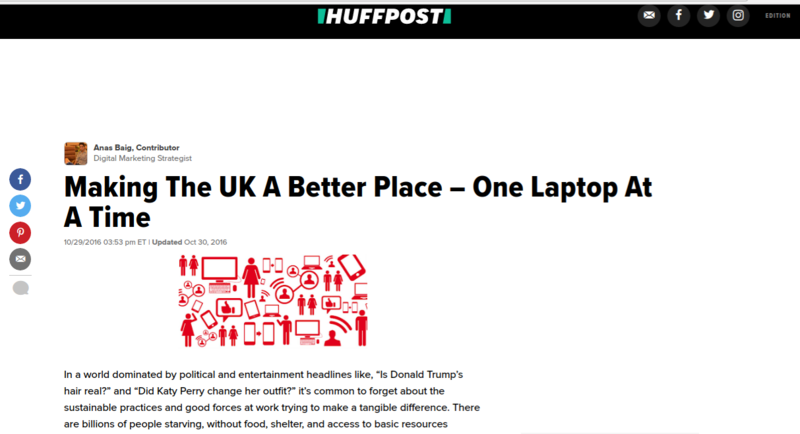 This is a win-win for everyone who chooses to be part of this initiative as more corporations consider the significant monetary gains of pursuing serious CSR by with their old laptops.